For starters, today is going to be a long day! Walnut had me up from 1:30 till about 4:00 this morning so I’m probably going to be trying to wake up till about 10:30 … Let’s hope I’m up by then. Been working on a couple of client websites this afternoon and emailing back and forth with a few. In case if you missed the DHR video yesterday I installed a progress bar for the blog on DigiToolBag which is awesome because for the longer posts it will show you with a red progress bar how much more content there is. We are now 100% in triple digits! Today’s podcast is the 101st podcast I’ve done since I’ve joined Anchor. I had a long discussion today with an old client I’ve not talked to in a few years. Before I go too deep into the basics of the conversation I want to preface by saying that I’ve increased my prices tremendously compared to what I was charging when him and I first started working together. When he asked my prices he started freaking out. Not realizing that what I do is no different that a “Plumber” (his profession). I have a particular set of skills… lol. I have spent thousands of dollars over the years on education and put in thousands of hours honing my craft. I spend about 5-10 hours per week doing research on changes in technology and platforms so I can offer current and up to date strategies and tactics for my clients. 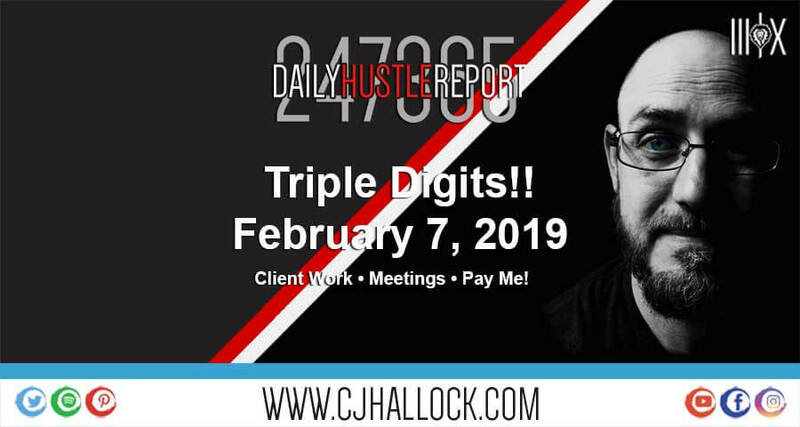 While the national average for a marketing consultant is about $100 per hour, I have a base rate of only $50-75 per hour depending on the work and the contract with a client. I offer discounted hourly rates for clients that do consistent work with me that at times can get as low as $25. So when someone who bills $125/hour complains about someone billing half of that for their craft I get frustrated. Please remember that everyone has bills. I’m not trying to gouge prices or rip my customers off. I still charge less than I should and refuse to increase my prices any more than needed. OK, I’m done ranting for the day! Hope you all have had a great day! See you tomorrow!